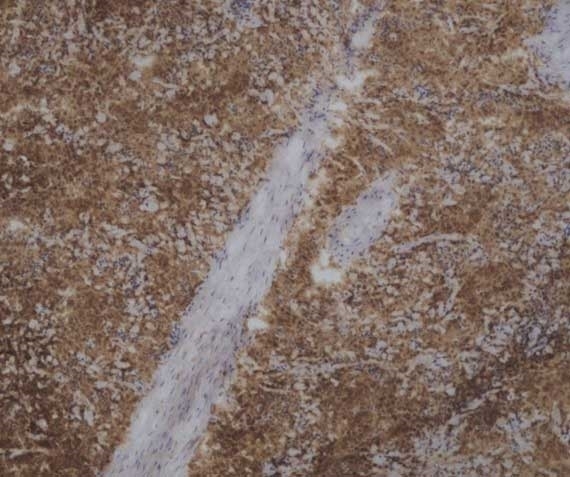 Immunohistochemical staining of ovine spleen cryosections labeled with Mouse anti Sheep CD45 antibody, clone VPM18 (MCA896GA) followed by Histar detection kit (STAR3000A). Mouse anti Sheep CD45, clone VPM18 recognizes the ovine homologue of human CD45 otherwise known as LCA (leucocyte common antigen), a type I transmembrane glycoprotein and member of the protein-tyrosine phosphatase (PTP) family, expressed at high levels on all nucleated cells of haematopoietic origin, and which exists in several isoforms generated by the alternative splicing. CD45 is a signal transduction protein vital for T and B cell antigen receptor-mediated activation, and is involved in many aspects of cellular processes, including growth, differentiation and oncogenic transformation. Studies have reported associations between CD45 and many cell surface antigens, including CD2, CD3, CD4, CD26 and CD90. Clone VPM18 recognizes all isoforms of the CD45 molecule. Hopkins, J. & Dutia, B.M. (1990) Monoclonal antibodies to the sheep analogues of human CD45 (leucocyte common antigen), MHC class I and CD5. 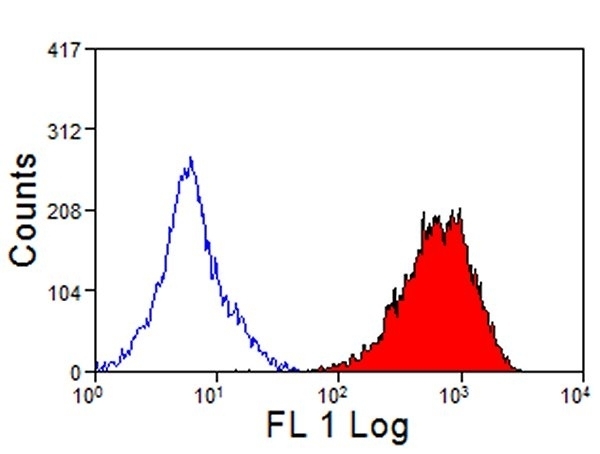 Differential expression after lymphocyte activation in vivo. 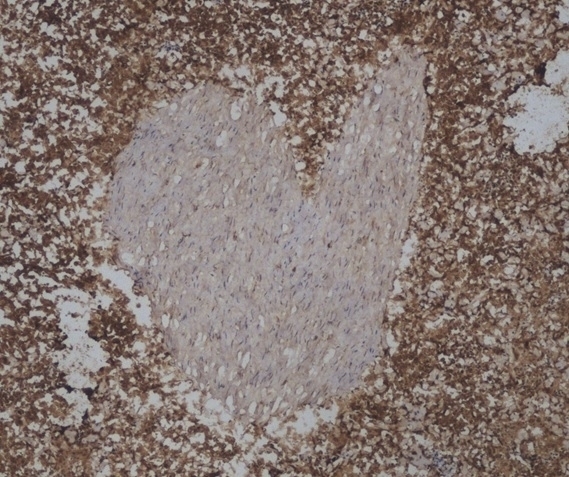 Vet Immunol Immunopathol. 24 (4): 331-46.